I wrote this earlier in the year before Captain America: Civil War was released but never got round to posting, so with the recent release of the home video version it seemed like a good time to post it. Whilst at the Geek Gathering in Llanelli a few weeks back me and Pete were talking about Captain America: Civil War, Pete mentioned that coming from a comic book reading house his daughters were frustrated that all their friends are Team Iron Man. I found this interesting but didn’t think too much more about it, that was until earlier in the week when I was invited to the cinema with some of the guy’s I work with to watch Captain America: Civil War. This invitation got me thinking about it again, and I asked out of curiosity if they were Team Cap or Team Iron Man, and all of them were Team Iron Man. This is where I got a bit more interesting as I am firmly Team Cap because of the comics I read; so I decided to conduct a quick poll amongst my friends and found that this trend for the most part continued with comic book fans saying that they were Team Cap and the Marvel Cinematic Universe (MCU) fans siding with Team Iron Man (there were a few exceptions either way). WARNING FROM THIS POINT ON I WILL BE GOING INTO DETAILS OF EVENTS THAT HAPPEN IN THE CIVIL WAR COMIC BOOK SO THERE IS SOME POTENTIAL FOR SPOILERS IF YOU HAVEN’T READ IT! 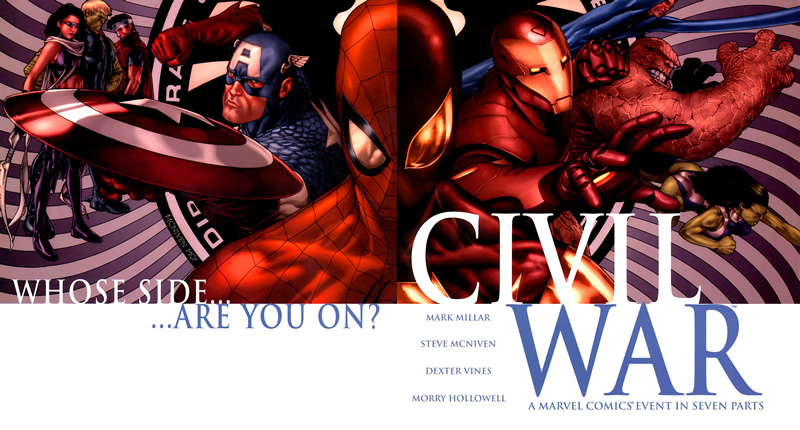 The big marketing ploy for Civil War asked the question “Whose side are you on?” and from the outset there were claims that it was an impartial look at the question and readers could decide who was more right. I will admit that I do have a bias towards Team Cap as I used this series as part of my dissertation and felt that the depiction of the anti-registration team and their actions in the name of freedom were more justified. However, knowing this bias existed I decided to revisit the series for the first time in a few years and note what I considered to be questionable actions by both sides, and found some interesting points that I hadn’t considered before. For me this highlights how calculated every action that Tony Stark takes is; whilst the death might have been a mistake, the fact that he kept Thor’s hair -for years- just incase shows the type of guy Tony is. If these types of actions were driving Tony from the start did he give the mansion to the Avengers for the sole purpose of experimenting on them? 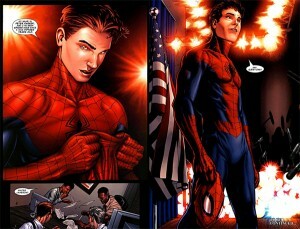 He also uses his influence to manipulate Peter Parker into revealing his identity to the world to further legitimise his cause; yet when Parker objects to the extrajudicial imprisonment of anti registration heroes, Iron Man attacks him, uses his Iron-Spider suit against him, and even sets a group of villains on him all despite Parker being a registered and legal superhero at this point. 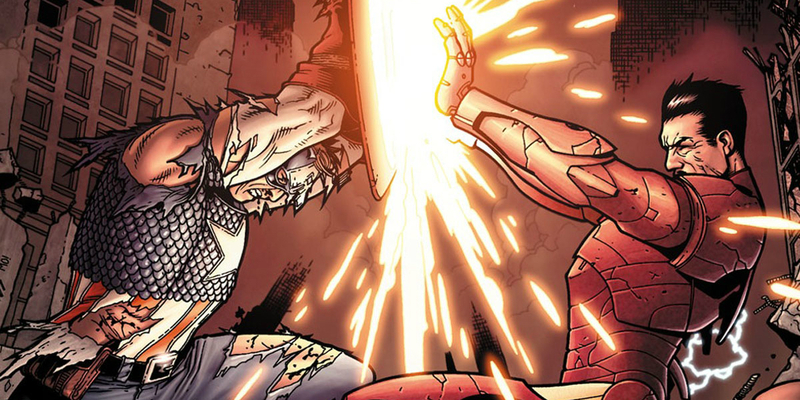 The extrajudicial imprisonment also highlights the extent that Iron Man is prepared to go despite the ramifications, as his forces employ the use of a prison in another dimension. The prison dubbed 42 is situated in the Negative Zone and it is used to hold any Super Human Registration Act (SHRA) violators, without any legal proceedings and whilst imprisoning heroes the pro registration forces were bolstered by villains including killers such as Bullseye, Venom (Mac Gargan), and Lady Deathstrike. With the opposing side of the conflict it is a lot harder to find these types of faults, outside of they were breaking the law by not complying with the SHRA, but even this seems quite petty as some of the most prominent members such as Captain America and Luke Cage don’t have secret identities and were still fighting for the right to privacy. I wanted to keep as impartial as possible and judge both sides as evenly as possible, as a result of this I think I ended up judging Team Cap more harshly and most of my list seemed petty in comparison to the Team Iron Man list. There are a few standout points though, the first is that Captain America throws the first punch in the conflict that ends in the death of Bill Foster. However, leading up to Iron Man claiming that he only wants to talk, the anti registration forces have been drawn into a trap, their teleporters are taken out and they are surrounded by the opposition. 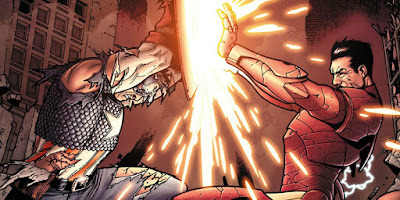 This leaves Cap with very limited options and although he could have tried to talk to Iron Man, but (apart from making the comic boring) Cap chooses to fight. 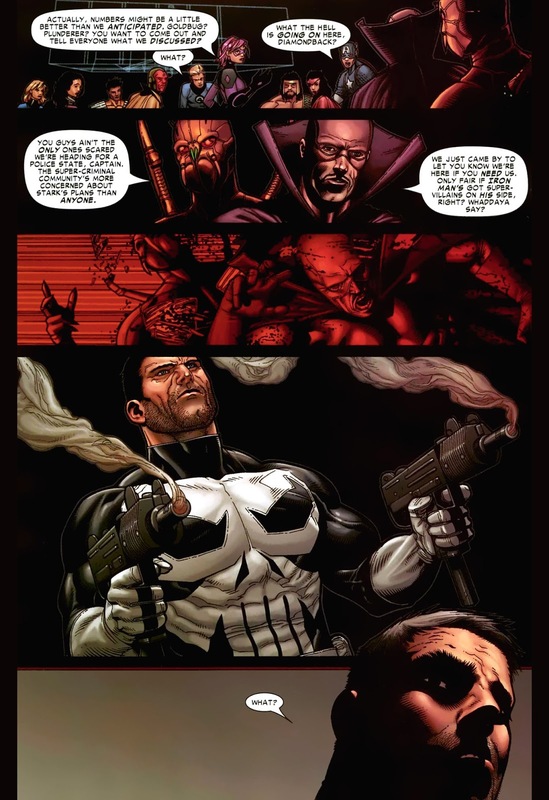 The only other major incident is when the Punisher guns down two villains who are trying to join the anti-registration forces. 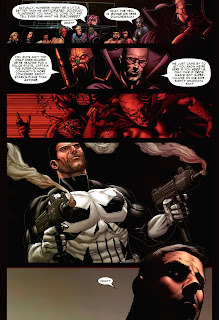 Whilst this act results in two deaths at the hands of a member of Cap's team Captain America doesn't condone the actions and beats up the Punisher and expels him from the team. All the other things I picked up for questionable acts by Cap were actions like throwing a 'capekiller' from a moving van whilst rescuing the Young Avenger, or taking advantage of Sue Storm's relationship with Namor in an attempt to recruit him and Atlantis to the anti-registration cause. 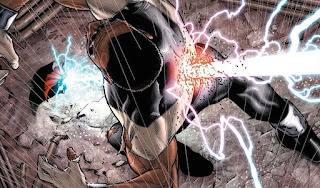 These actions are questionable but in comparison to Iron Man using nanites to enlist an army of villains, or his attempt to blackmail the X-men into joining the pro registration side they still come across as a lesser evil. So whilst I did pick up on a few examples of transgressions by Team Cap I still firmly believe that the anti-registration argument is stronger. 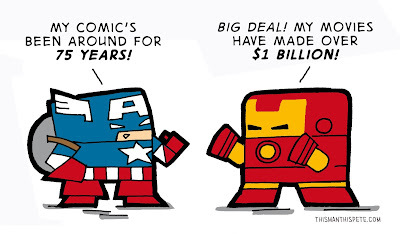 Even though Team Cap are the outlaws of the story they act more like heroes in their actions than Team Iron Man despite them having the law on their side. 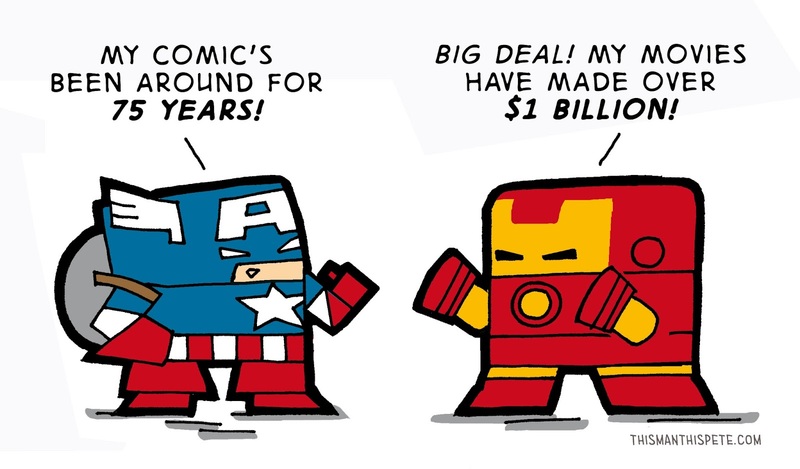 Therefore I am still firmly Team Cap, but "Whose Side Are You On?"